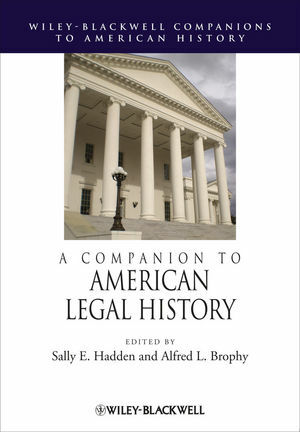 Sally E. Hadden is Associate Professor of History at Western Michigan University, where she teaches legal history and the history of early America. She is the author of Slave Patrols: Law and Violence in Virginia and the Carolinas (2001) and co-editor of Signposts: New Directions in Southern Legal History (with P. Minter, 2013). Alfred L. Brophy is Judge John J. Parker Distinguished Professor of Law at the University of North Carolina, Chapel Hill, where he teaches property and trusts and estates. His books include Reparations: Pro and Con (2006), Integrating Spaces: Property Law and Race (with A. Lopez and K. Murray, 2011), and Transformations in American Legal History (with D. Hamilton, 2010).